AG Nominee Barr raises questions about the Mueller report. President Trump makes a new offer to end the longest shutdown in history. Pelosi and Schumer continue to put their hatred of President Trump ahead of the what’s best for our nation’s security. Buzzfeed “reports” a blockbuster story on the Russia front, and the media goes crazy. One day later Mueller’s office says Buzzfeed got it wrong. 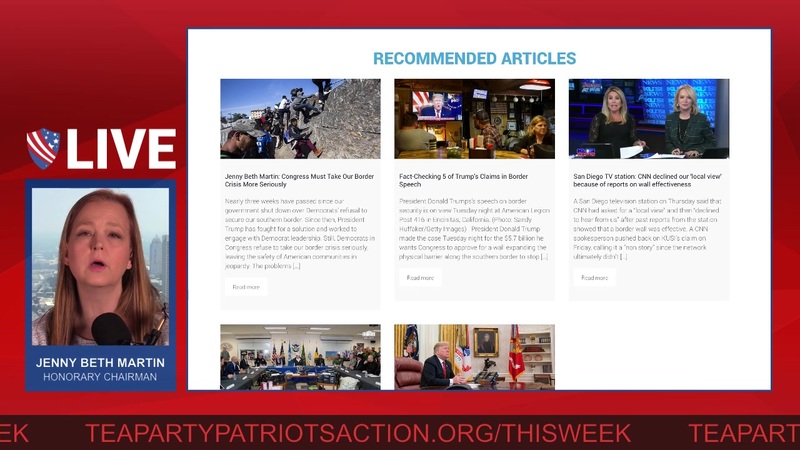 Join us now for Lunch Break Live with Tea Party Patriots.